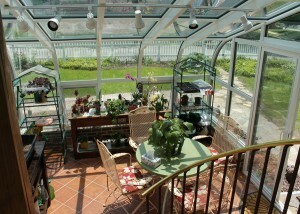 Designed with our client, an avid gardener, to bring the great outdoors into their living area. 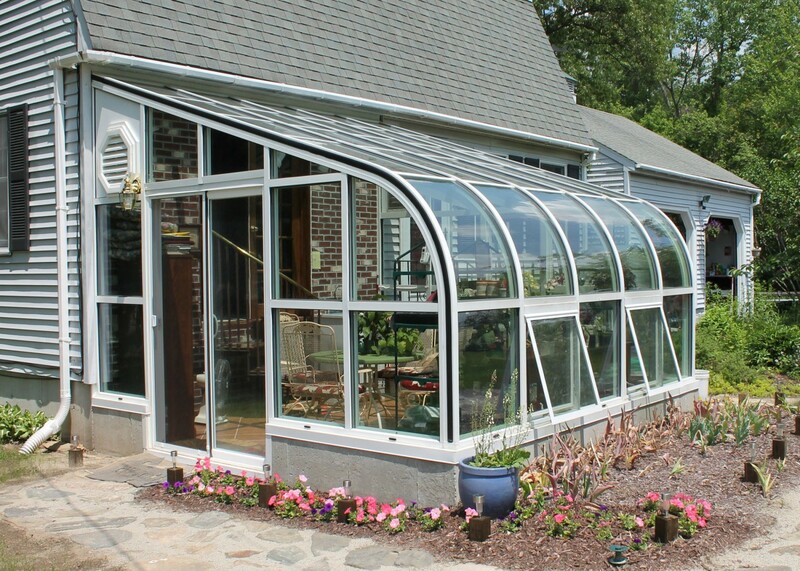 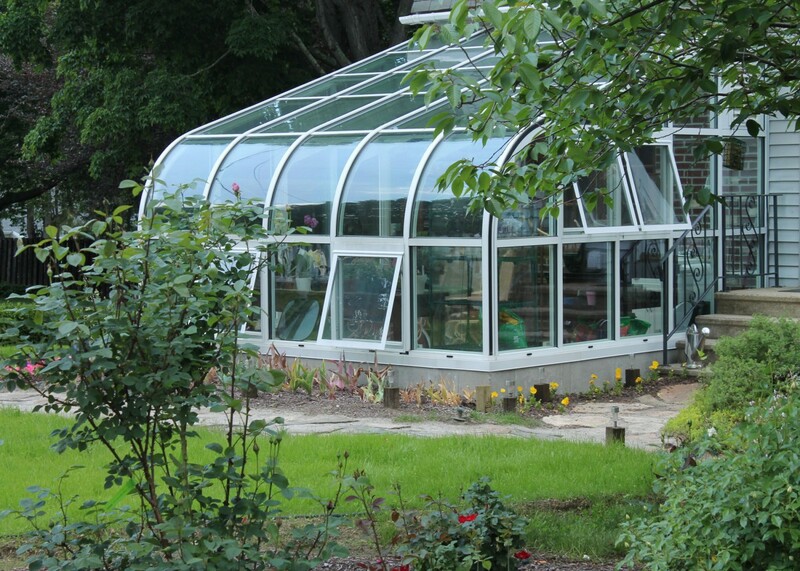 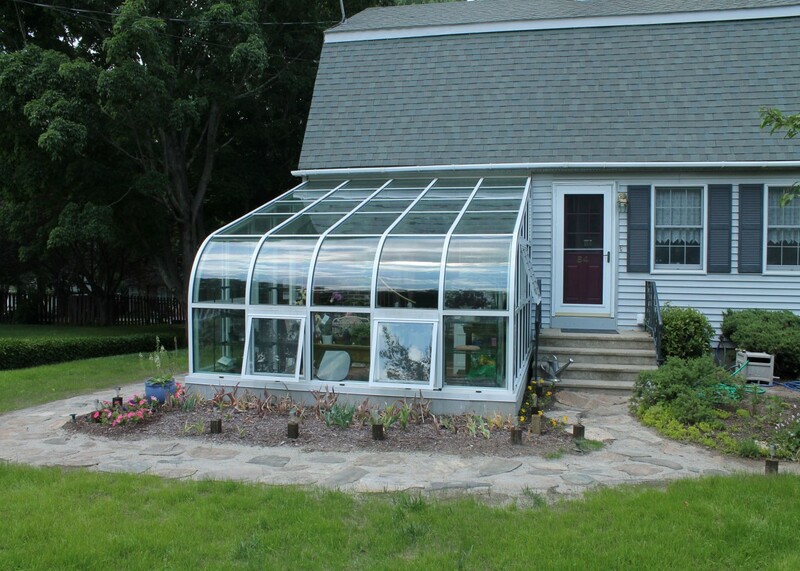 We incorporated a standard curved eave aluminum frame greenhouse. 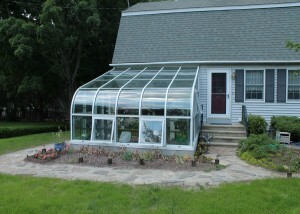 This is a base wall model with solar control glazing, slider door, operable awning windows with screens and exhaust fan.